In the national tournament yet again, the Cougars will match up against a strong Laval team in a quarterfinal matchup on Thursday night (6:00) at the CKHS. The winner will face either Acadia or Saskatchewan in the tournament semifinals on Saturday. FAMILIAR TERRITORY: The Cougars are making their third consecutive U SPORTS Championship appearance, their ninth in 12 seasons under head coach Dave Taylor, their 15th in the past 21 seasons, and their 19th in program history. NATIONALS AT HOME: The Cougars are hosting the national championship for the third time in the past decade and for the fourth time overall. They also hosted in 1979, 2009, and 2013. The team made it to the title game on home court in 2009 and 2013, but ended up with national silver medals after both of those contests after losing to Simon Fraser and Windsor, respectively. AGAINST LAVAL: The Cougars and Laval have met twice before in the U SPORTS quarterfinals. Laval won the first matchup by a score of 57-50 back in 2005 (Winnipeg), but Regina got even with a 69-54 victory in 2010 (Hamilton). They’ve also split the two national semifinal games they’ve played against each other, with Laval winning 72-56 in 2002 (Hamilton) and Regina claiming a 73-63 win in 2008 (Saskatoon). The Cougars also had a 1989 consolation semifinal win over the Rouge et Or. 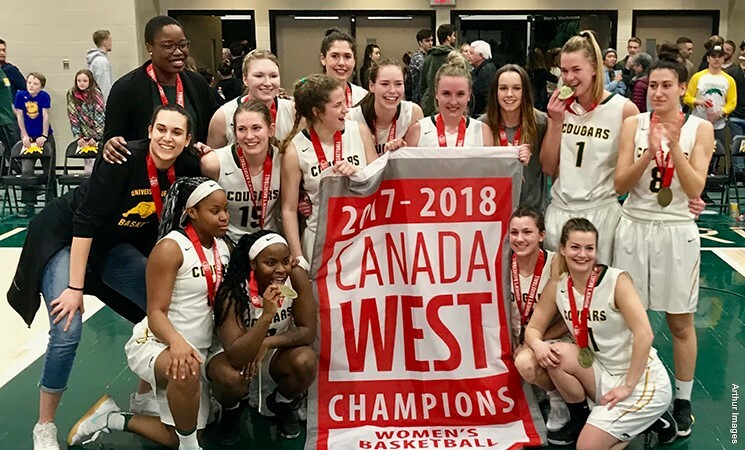 AWARD WINNERS: A year after Kyanna Giles was named the Canada West Rookie of the Year, Goncalves received the same honour from the conference after a stellar first season with the Cougars. Giles was also a Canada West first-team all-star, while Kot was named a third-team all-star. Goncalves will hope to join Giles and Andrea (Gottselig) Ward - who’s serving as co-chair of the tournament hosting committee this weekend - as the only three players in school history to be named the U SPORTS Rookie of the Year. Why did you remove the comment section from the Madani/Mullinder appraisals of the Riders QB situation? Was there too many posts that didn't agree with them? FYI......there never was a comments section started up on that article..
And.....why are you posting your question on an article about the women's basketball nationals?? Surely there will be no one (interested in football) reading comments under that article? ?